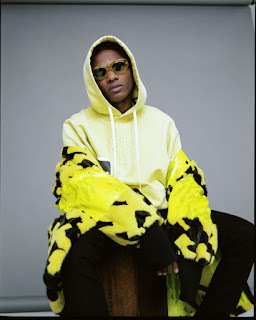 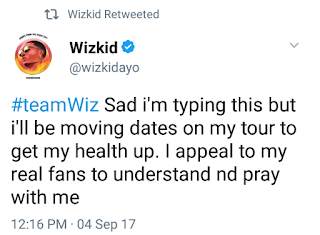 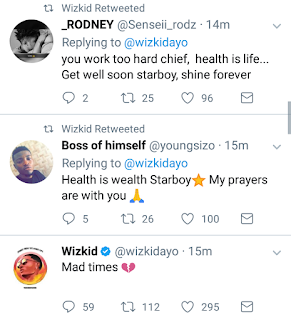 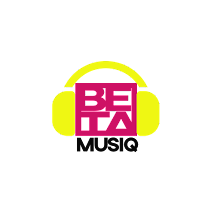 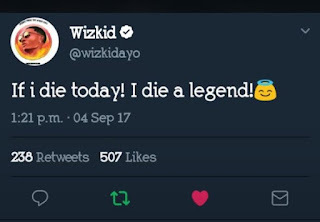 Nigerian Born Singer, Wizkid has just reschedule his tour dates due to some illness and appeals to fans to pray for him. 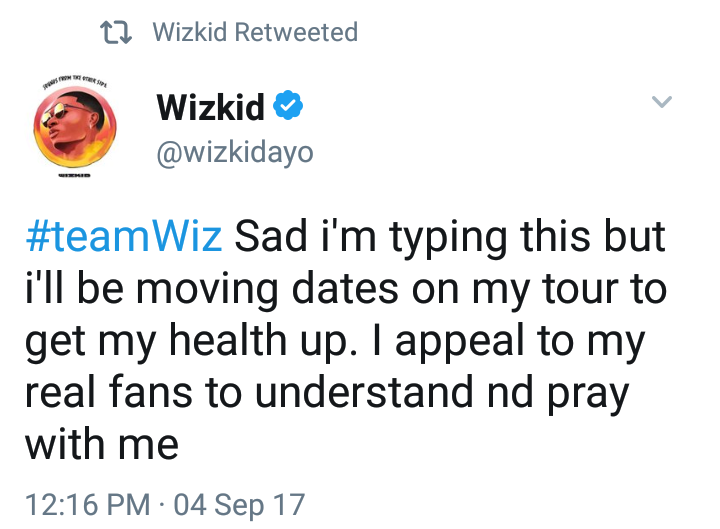 Remember this is the second time he's postponing his event due to health complication unknow. 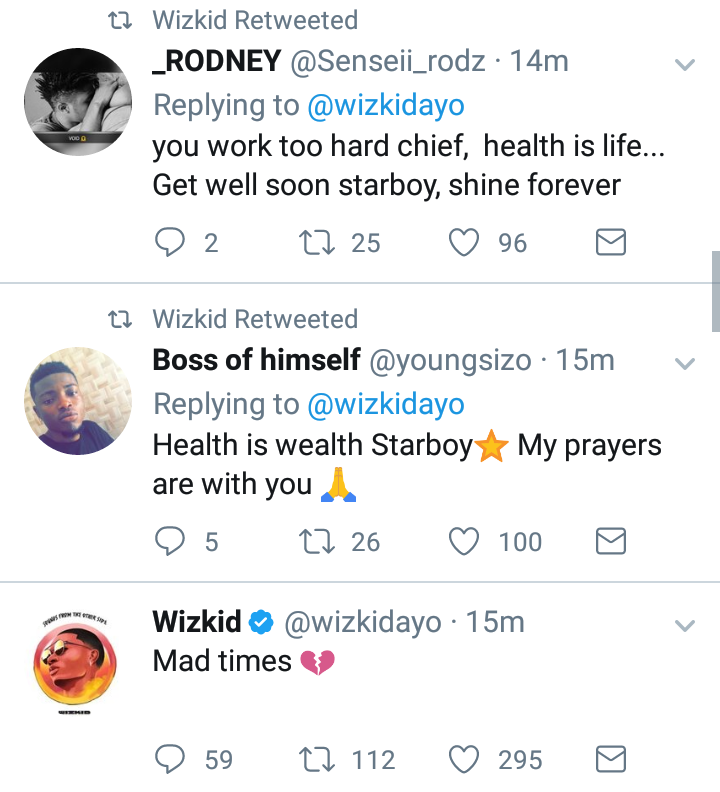 He also apologized to fans all over the world. 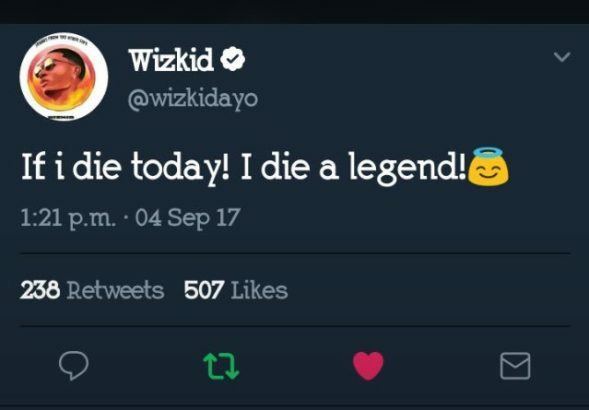 and also dropped something scary saying “If I die today, I die a legend” which fans have be sending him messages.